2. Due to its Sealed -Type, no volatilization, never congealing . needless to clean and brand-new forever offer the machines long term operation. 3. Fully automatic stepless speed-changed control. Its fast and slow speed can be freely adjusted. 4. 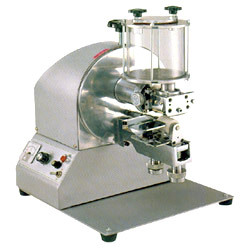 The machine can be used to apply the general adhesives , and solvent type . It is provided with the revolving equipment , there are never adhesive drop in it and it will receive recurring adhesive l iquid when the machine's operation stops. 5. The machine is suitable for shoe making, leather wares making (such as leather case, portfolio ) stationery (note file, folder, file)who plant equipments of photo frame, sport wares etc., for processing use. 1. Model: 6810A, gluing width: 35mm, H.P: 1/8, machine size: (L x W x H)mm 550x380x450, (K.G)N.W. : 27, (K.G)G.W. : 47. 2. Model: 6810B, gluing width: 55mm, H.P: 1/8, machine size (L x W x H)mm: 550x380x450, (K.G)N.W. : 28, (K.G)G.W. : 48. 3. Model: 6810C, gluing width: 75mm, H.P: 1/8, machine size: (L x W x H)mm 550x380x450, (K.G)N.W. : 29, (K.G)G.W. : 49. 4. Model: 6810D, gluing width: 100mm, H.P: 1/8, machine size (L x W x H)mm: 600 x 400 x 450, (K.G)N.W. 32, (K.G)G.W. 52. 5. Model 6810E, gluing width 150mm, H.P 1/4, machine size (L x W x H)mm: 700 x 400 x 450, (K.G)N.W. 36, (K.G)G.W. 58. 6. Model: 6810F, gluing width: 200mm, H.P: 1/4, machine size (L x W x H)mm: 770 x 400 x 450, (K.G)N.W. : 37, (K.G)G.W. 60. 7. Model: 6810G, gluing width: 300mm, H.P: 1/4, machine size (L x W x H)mm: 930 x 400 x 450, (K.G)N.W. : 40, (K.G)G.W. : 65.